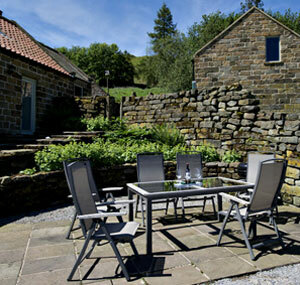 Welcome to Forest Lodge Cottages where you can enjoy a great holiday in wonderful surroundings. Families, cyclists and walkers are all welcome here, in this special part of North Yorkshire. Dale House is the largest property at Forest Lodge. It can accommodate up to 8 people with parking for 3 vehicles. 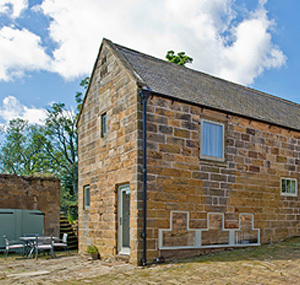 The property has a wood-burning stove, exposed stonework, and a beamed snug and library. With a large kitchen, and a living room with wood-burning stove, Coltus Lands can accommodate up to 4 people. One bedroom has an en-suite bathroom and both have beautiful exposed beams. North Range can accommodate up to 6 people. It has beamed ceilings, a wood-burning stove and a large farmhouse style kitchen. The large beamed living room still has the original roof kneelers. 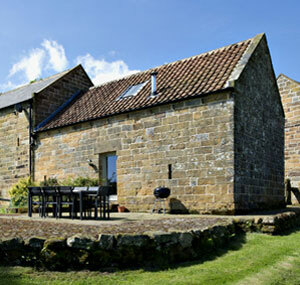 Forest Lodge Farm is situated in the heart of the North York Moors and dates back to at least 1620. This beautiful part of Yorkshire is famed for its natural beauty. Footpaths, bridleways and cycle tracks criss-cross the landscape – linking farms and villages and providing a great way to explore and enjoy the great outdoors. The area, known for its natural heather moorland is also home to a working steam railway, country pubs, rural museums and countless tea-rooms. Charming market towns and villages, and coastal settlements such as Staithes, Runswick Bay and the famous town of Whitby are only a short drive away. The moors are rich in cultural and artistic heritage. Abbeys and churches are many and you will find artists studios and craft workshops in many of the local villages. See the Local Guide page for more about this wonderful region of Yorkshire.